This is not the first time a Mutual Aid network has been set up in Brighton & Hove. 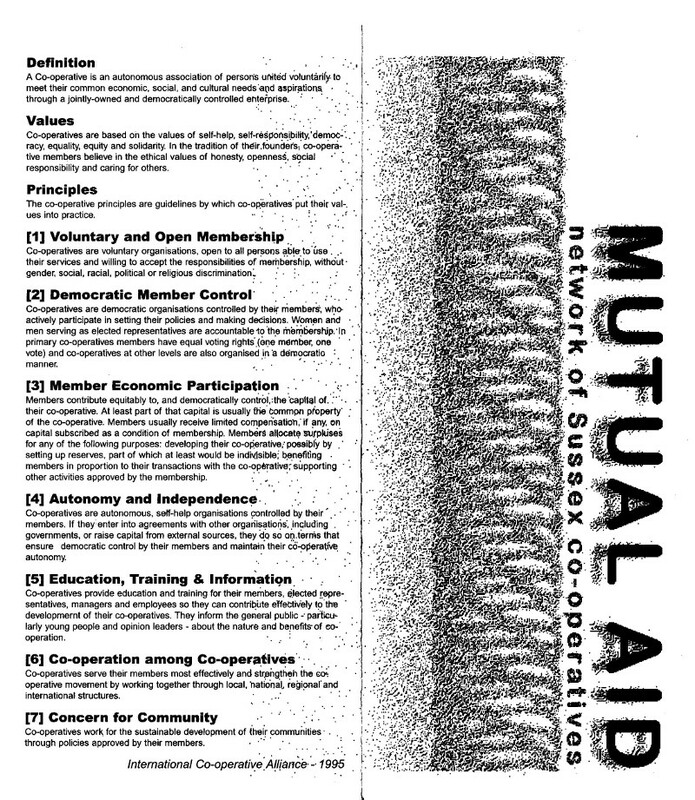 In 1999, the Mutual Aid Network of Sussex Co-operatives was set up, which lasted for a couple of years (a few links about it still exist – see: 1, 2, 3). 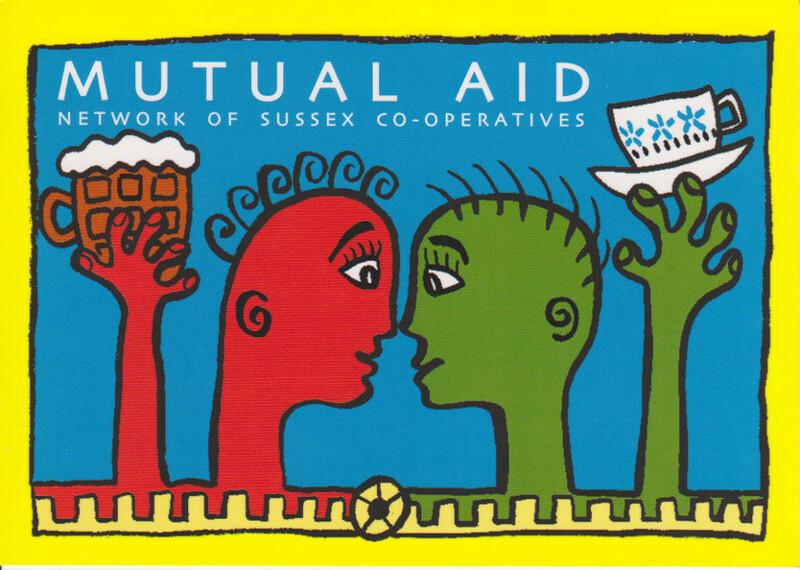 All the members/directors were representatives of different kinds of co-operatives (except for Kate Whittle who was freelancing at the time) and they set up Mutual Aid to help themselves prosper and survive. After many successful meetings and events, it unfortunately folded due to the main organisers moving away from Brighton. 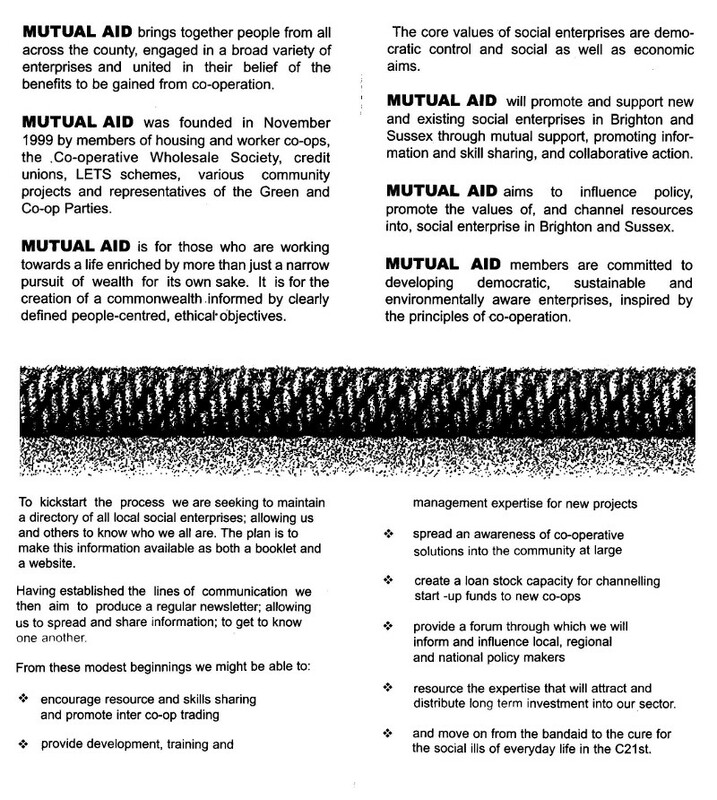 Mutual Aid in Sussex (MAIS) is not planning on replicating what happened before. Our network which started in May 2015, as with the Mutual Aid network before us, will be bottom-up and decisions will be guided by those who currently take part in it. However, some of us have spoken with one of the main organisers of the previous network (Kate Whittle) to try and learn what did and did not work in the past. Below are a few flyers/post cards from the previous network.